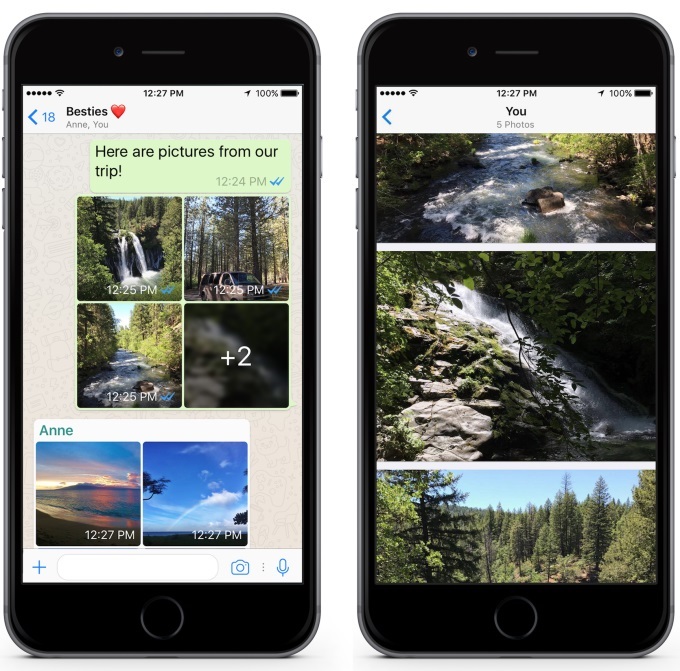 WhatsApp Tuesday announced three new features for its iOS application: albums for photos and videos; filters for photos, videos and GIFs; and a reply shortcut. Albums: When you send or receive a collection of four or more photos or videos, they’ll automatically be grouped together as an album, creating a tile display within your messages. When you tap on the album, you’ll see the collection of photos and videos in full screen. Filters: You can now add filters (pictured above) to your photos, videos, and GIFs right within the WhatsApp camera. 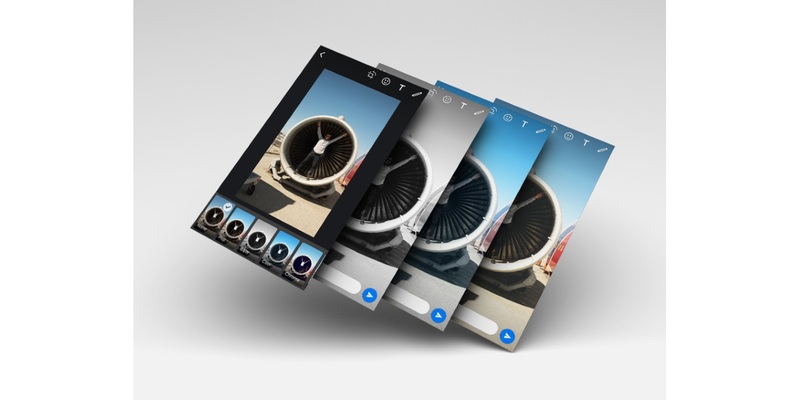 Just capture or select media that’s already on your phone and swipe up to pick a filter. There are five options to choose from—pop, black and white, cool, chrome and film. Reply shortcut: To make it even easier to reply to a message, now you can simply swipe right on any message and start typing your response. We’d like to add these features to the Android app in the future, but do not have timing to share yet.